After years of CSI tumult and leaves of absence, Eads seemed to be settled in on this next CBS show of his… until he abruptly decided to exit the action drama reboot in the middle of Season 3, with operative Jack Dalton’s last episode airing sometime next year. Rumor has it he stormed off set in October, bringing to mind his reported argument with a CSI writer in 2013. Even more shocking than Wilson’s exit from this Showtime show — with Alison Bailey’s storyline meeting a violent end in season 4 — is what she later revealed on CBS This Morning. “I did want to leave, but I’m not allowed to talk about why,” she said. And to The New York Times, Wilson said there’s “a much bigger story,” which we suspect we’ll never know. Miller not only exited this HBO comedy at the end of Season 5 — leaving his entrepreneur character, Erlich Bachman, blitzed out in a Tibetan opium den — but he also burned bridges on the way out, suggesting the show had become “one-note” and implying one of the showrunners was a “f***ing idiot.” Sources later told The Hollywood Reporter the comedian had self-medicated with alcohol and other substances and would often fail to show up on set. Fired or nah? Dempsey maintains he left Grey’s midway through Season 11 to spend time on other pursuits, but Page Six claimed Rhimes gave the actor his walking papers because he was behaving like a “diva.” In any case, his Dr. Derek Shepherd died from car crash injuries, ending the McDream for countless fans. Panjabi’s Kalinda Sharma took her private eye skills elsewhere in this CBS drama’s sixth season, bidding Julianna Margulies’ Alicia Florrick adieu in a scene the two actresses obviously filmed separately. Rumors of a feud between Panjabi and Margulies abounded, and the story got even weirder once Margulies claimed Panjabi wasn’t available to film the scene and Panjabi openly contradicted her. Television is known for being a tumultuous industry. Sometimes, a departing TV star makes the reasons behind their exit abundantly clear. Katherine Heigl, for example, vociferously complained about her long hours on the set of Grey’s Anatomy. Other times, though, the circumstances aren’t so cut and dry. In the gallery above, read about nine actors — including George Eads, who recently exited MacGyver — whose departures from popular shows were shrouded with mystery. 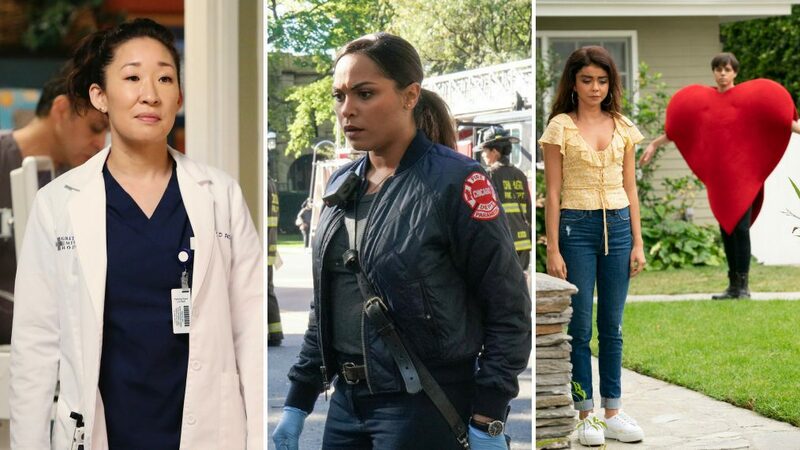 Characters from shows like 'Grey's Anatomy,' 'Chicago Fire,' 'Modern Family,' and more.